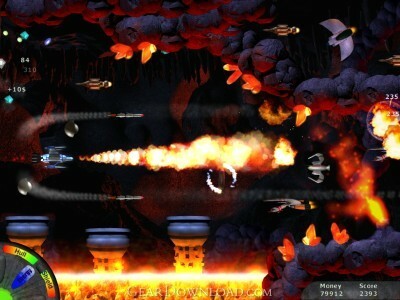 Star Blaze is a space shooter game, featuring amazing visual effects and high quality graphics. Crush your enemies in the depths of the space, deadly grounds, dark ocean waters and reach the core of the Retulla planet. Fight enemy hordes and mighty bosses. See the ruins of lost civilizations, the beauty of the underwater and the horrible underground tunnels. Collect resources and give your ship more firepower to annihilate the dark forces. This download (starblaze.exe) was tested thoroughly and was found 100% clean. Click "Report Spyware" link on the top if you found this software contains any form of malware, including but not limited to: spyware, viruses, trojans and backdoors.